In third grade, my elementary school started a self-esteem program. My mom was concerned about the humanistic values that she suspected would be in this program and so had me excused from attending these seminars. So, while everyone else in my class went to the self-esteem seminars, I was left alone in the classroom. And I have struggled with self-esteem ever since… if only she had let me go! I’m totally kidding! My mom was probably right. After all, what does the world know about how to truly find value and worth as a human being? Doesn’t God Want Me to Have a Good Self-esteem? My little girl Ellie has discovered Veggie Tales. She is 18 months old and has never watched television or videos… up till now. We thought it would be fun to play her some veggie tales and now she is hooked. When she is in the living room she will point to the dark tv screen and say, “Bob? Bob? Bob?” (asking for Bob the tomato – I was just now reminded of Bill Murray in “What About Bob?”). One of the episodes we watched together last night was called, “A Snoodles Tale”. Written in the style of Dr. Suess, it is a lesson in self-worth. I was touched. 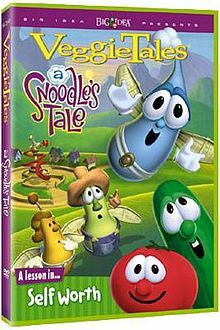 The story talks about a snoodle who struggles with self-worth and is brought down by all the other snoodles who belittle him because he isn’t good at anything. When he is finally told his worth by his creator, he is transformed from being burdened and weighed down by all the pictures others have painted of him to being so lighthearted and free that he begins to float above the ground and finally makes use of those wings he was given. This is what it’s like receiving our worth from God and hearing from him how he really views us and how he really loves us… unconditionally. He alone can give us purpose and a glorious destiny. When we believe and receive that purpose and destiny, we begin to fly above the confines of everything we have thought and might think of ourselves and also above all the ways others have defined us. After reading as much Scripture as I have thus far (now in Hosea) I am absolutely convinced that God isn’t at all interested in bestowing upon us a good self-esteem. In fact, I would propose and submit to you that God doesn’t want us to have self-esteem at all… good or bad. God has something far more precious and totally awesome to give us then merely good self-esteem. “Self-esteem” is how we see ourselves and it is largely influenced by how others see us, or how we perceive that they see us. Self-esteem is based on the principles of pride and on our performance, not on the grace and unconditional love God extends to us. God is the one who made us and it goes without saying that he wants us to care more about how he sees us and to set us free from this trap of self-esteem. He does this by giving us what I will call God-esteem. When we take our eyes off of ourselves altogether and fix our eyes on Jesus, the author and perfector of our faith, we are then liberated to be the people he always intended for us to be, and it is beautiful! Unfortunately, we are all bound, confined, and limited by our opinions of ourselves and of others opinions of us, that we don’t even think to go to God to find our worth. We are so caught up in the trap of self-esteem that we surround ourselves with only those who speak and think well of us, and we avoid everyone and everything that might cast us in a negative light… including the Bible. While there is a glorious identity waiting for us to take hold of in Scripture, God must first break off and crush all our false ideas about who we are. We must first be humbled before we are even able to receive grace… before God can show us and free us with the truth of who we really are… in him. God’s word is designed to deal a devastating blow to our self-righteous ego and kill any possible chance of a good self-esteem. This is why we avoid reading the Bible! It’s why I avoided it. It made me squirm like a worm on a hook. I felt cornered. Exposed. Undone. I mean, who wants to feel crummy about themselves? Who wants to be faced with all the various ways they have failed and the fact that at the very core, that you are a rotten person? According to his law of love, God convicts the entirety of mankind and exposes us all for the self-centered, loveless creatures that we are. He then makes it abundantly clear just how much all our wretched sinfulness and rebellion has deeply offended him and incurred his wrath. We are all sinners and stand (or rather grovel) before him convicted, doomed, and damned because of sin. Apparently, sin is a really big deal! We would all be lost forever without someone to intervene and come to our rescue. Thank God Someone did! All of this makes the good news of Jesus so much sweeter and more amazing! We are not without hope! The good news of Jesus is that he is our Savior. He is our hero who came to take the bullet for us. He became our sin and was condemned for it. On the cross, He absorbed all the wrath of God for sin! Jesus was convicted, doomed, and damned in our place that we might be saved as we trust in Jesus and follow Jesus! This is pure grace. Just the other day in Ezekiel I came across another contemptible sin I was guilty of. Upon reading it, I was so upset that I started swearing in my head and thinking, “Do I have any alcohol in the house?” I then remembered I had one beer left in the closet. I was planning to down the thing as quick as possible. All while I was thinking this the Lord was speaking to my heart. In a very comforting voice he gently whispered, “Just come to me, just come to me.” As if to say he had all my sin covered and that it was alright. Any last flickering flames of self-esteem were thoroughly extinguished as I read for the umpteenth time of yet another way I had deeply offended God and I had to agree that I deserve his wrath. I just can’t win! And just maybe, this is the point. This is the humbling effect of the word of God. It humbles our pride. But, does God want to keep us in a perpetual state of loathing ourselves? No, of course not! He wants us to find our worth in Him and find pure unadulterated joy in our restored relationship and our new identity with him! He wants to show us a new way to be human and how to be what he always intended a human to be. Loving. Gracious. Kind. Forgiving. Free. And yet, I foolishly still find myself attempting to find my value and worth in and of myself apart from him. I still try to think of myself as a good person. Every day my pride tries for a bit of glory and a bit of recognition. Every day I must, once again, die to myself just as Jesus said that we must. Every day we as humans still struggle with pride. I don’t know about you but I am always attempting to make myself appear better, smarter, and more spiritual than I really am. Can you relate? Some of us do this by hiding our sin as best we can and then projecting a sanitized image of ourselves to the world (on facebook or twitter) trying to convince everyone that we are likable decent human beings who have important things to say. 1 “Come, let us return to the LORD. what should I do with you?” asks the Lord. and disappears like dew in the sunlight. with judgments as inescapable as light. Pride is the source of all sin. It is like that black tar that afflicted spiderman. It’s tenacious clawing, grasping, and wanting to possess us. To control us. Pride is our greatest enemy and we must fight it… but how? Confession? Repentance? Humility? Love? All of the Above? 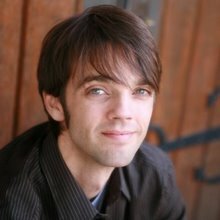 What are some ways you have found that are a good antidote to pride? Leave a reply below.